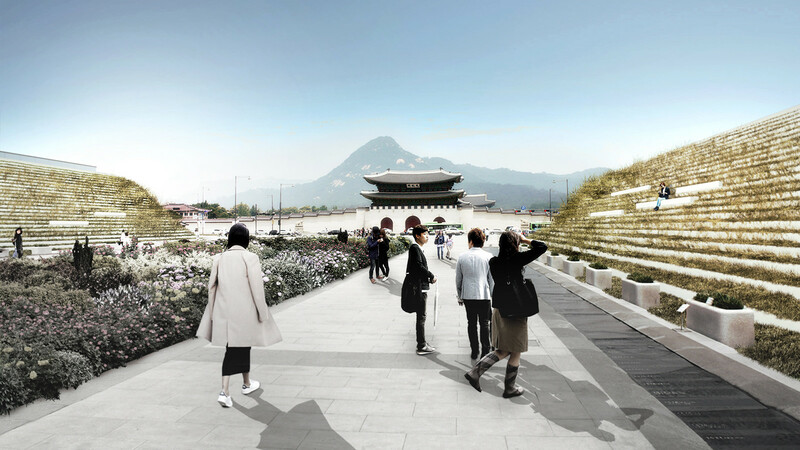 Recently, Seoul has undertaken many projects with the idea of creating public spaces, while respecting the existing, often-difficult-to-manipulate infrastructure.One of the main concerns in most of them is the positive effect on the environment.As a country listed among world’s top 10 carbon emitters South Korea is taking bold steps to raise every time the target from reduction scenarios like cutting CO2 emissions in 2020 by 30 percent to developing innovative sustainable solutions which can be a showcase on a worlwide scale and a key to global efforts to combat greenhouse gases in the environment. 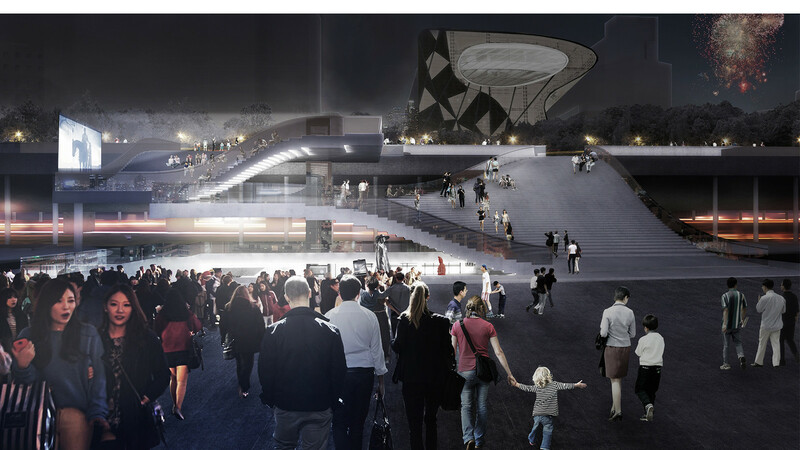 The presented design is well in line with this global responsibility and opportunity for a sustainable growth. 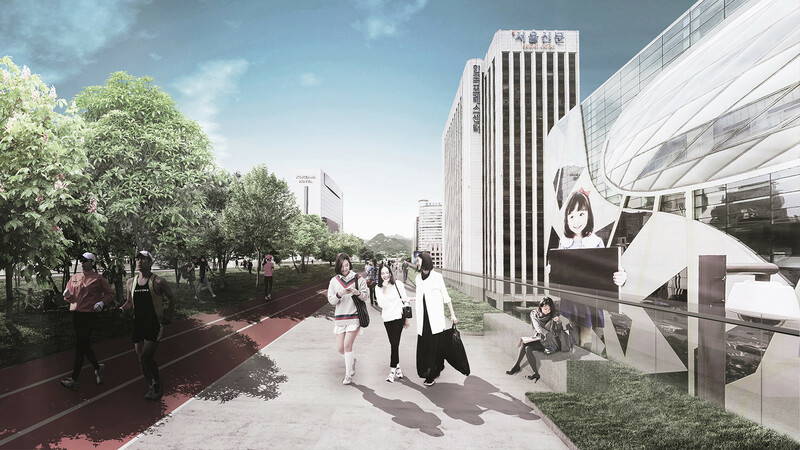 It proposes a complete total makeover of the Sejong-Daero District with it’s existing pedestrian route from Namdaemun-ro through to Saemunan-ro. 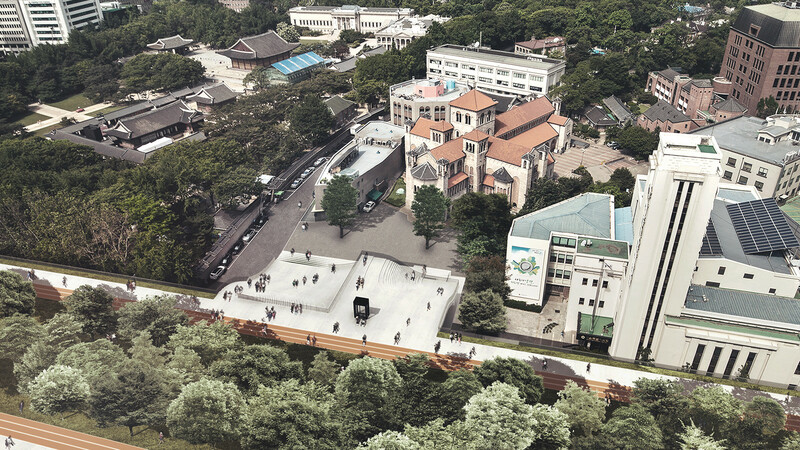 intention to give one of Seoul’s oldest streets back to the pedestrians and alternative vehicles other than cars – like electric public transport. 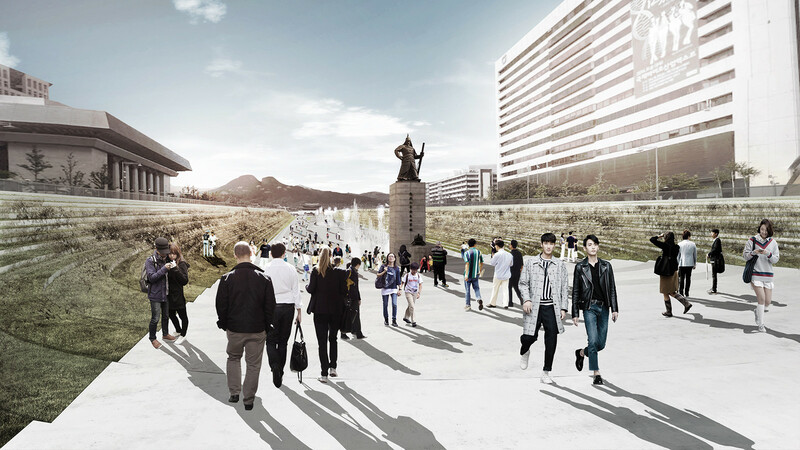 The Sejong-Daero area has a very high potential for development due to its location within the city and the services that it currently possesses.It demans a clear connection which would not be only a route but a public zone.Rather then a dark and low network of underground passages we propose creating an elevated green cultural trail accessible by foot from a valuable environment which integrates the community and becomes a new desitnation inside the city itself.A modern,safe zone with lots of social attractors on the way to important facilities on Seoul’s map of cultural heritage. 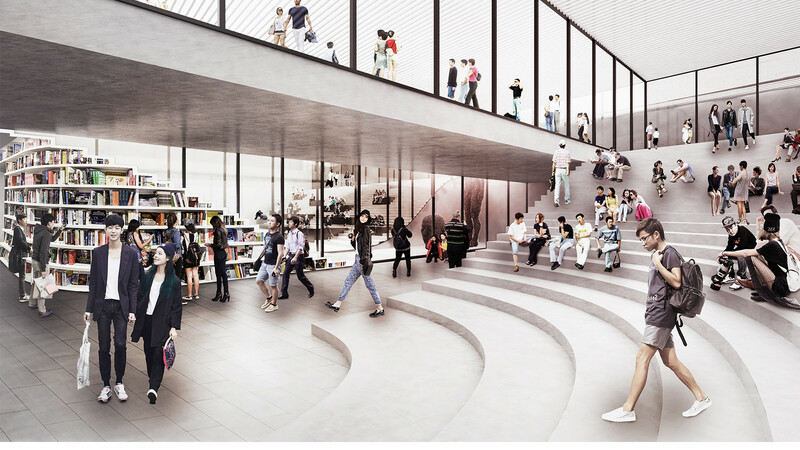 The recovery of this area is a great opportunity to activate the local neighbourhoods to promote social interaction and create further new and better links. 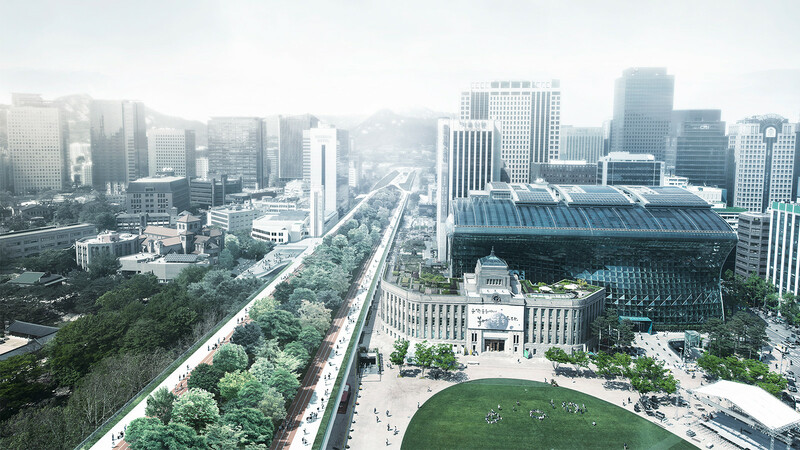 The structure will frame important symbols and views – especially the mountains and forrests which are positioned at the end of it’s axis making the citizens aware about how crucial the presence of green areas are in the life quality of Seoul. 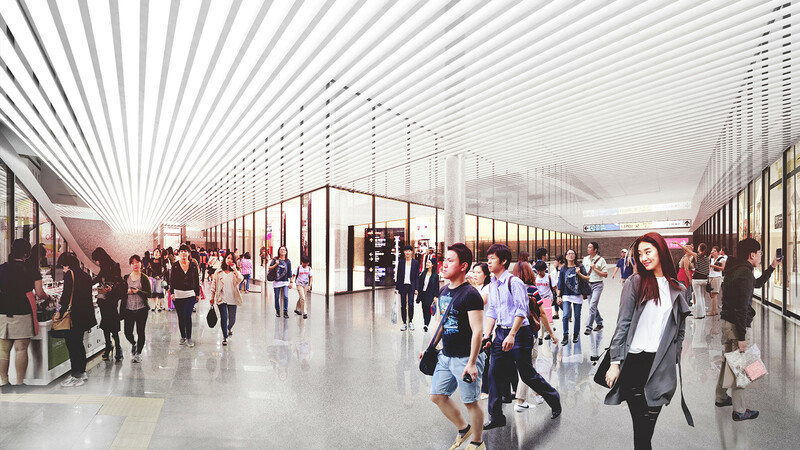 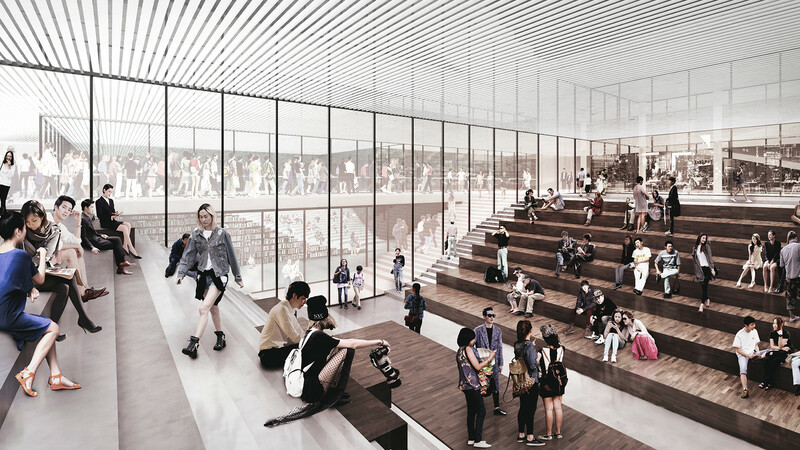 The scheme proposes creating a large green lifted corridor which would stretch along all Sejang-Daero featuring a series of elevated platforms which connect it to the ground floor area.Here performance stages, seating areas would be positioned and underneath in the enclosed areas program such as cafes or exhibitions would be located. 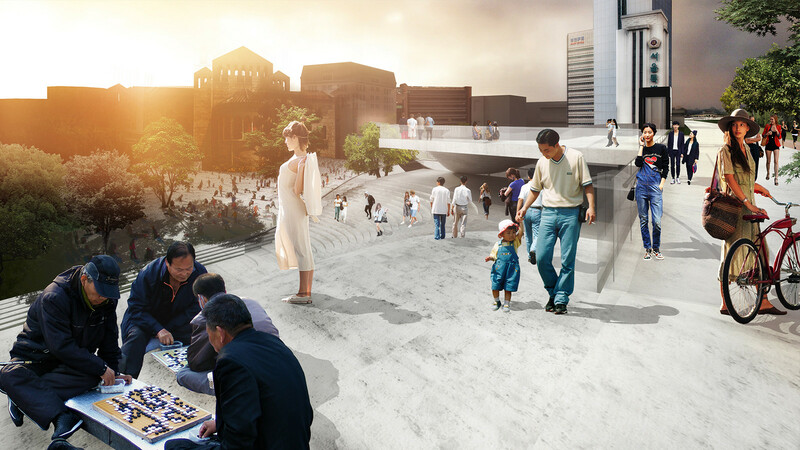 Pedestrian paths have been strategically designed. 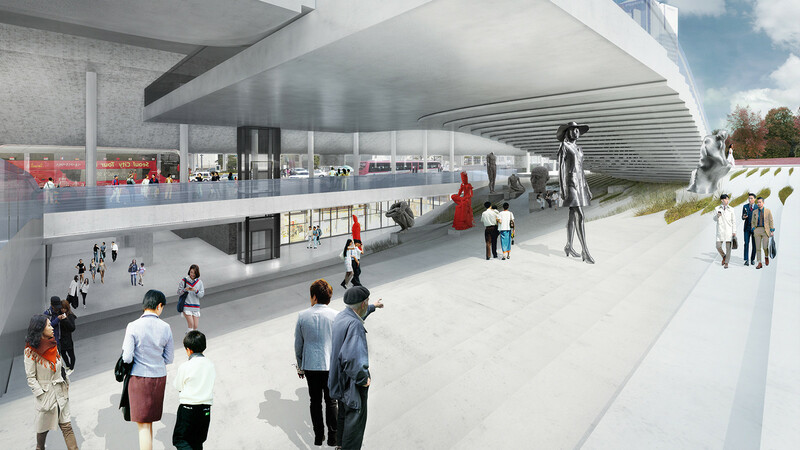 The upper level will have a promenade for pedestrians with a carefully designed running track. 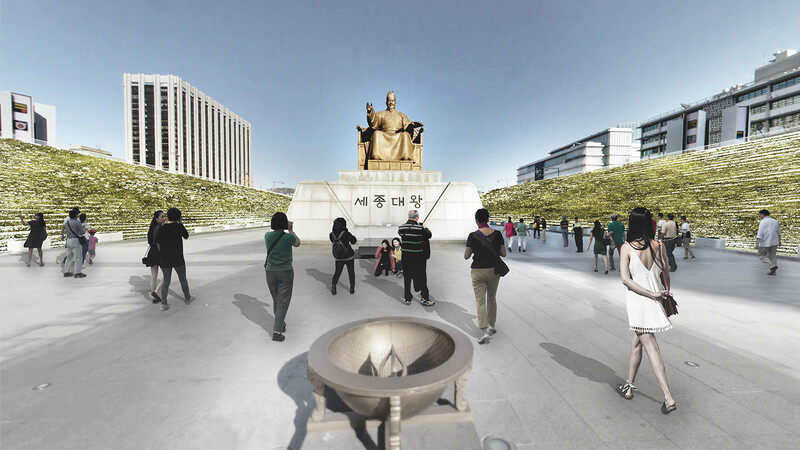 There has been a special attention in the selection of the flora according to the urban context: it will not only provide shade in the park area, but it will also have a big input in cooling down the ambient in warmer summer days. 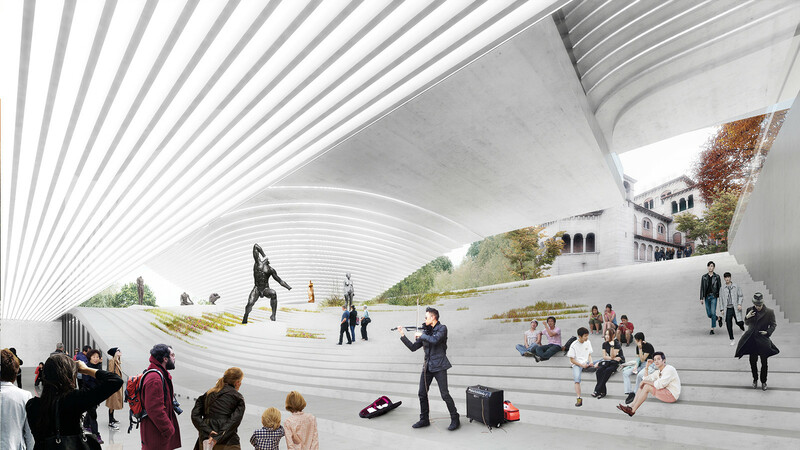 For the purpose of irrigation recycled rainwater would be used.